THE EUROPEAN crisis has huge ramifications for Northern Hemisphere rugby. The quest for a fairer qualification system, which is fully justified, and the desire to control the game with the associated financial benefits, presents Northern Hemisphere rugby with its greatest challenge since it turned professional. However, the problems that face the Welsh regions are more acute than those of their French and English foes – or friends, depending on how this all pans out. The issues stretch beyond expanding income streams that can deliver another batch of Springboks or 30 cap All Blacks. This isn’t even about the ability to ‘break-even’ financially, as has been touted by representatives from the Aviva Premiership. In Wales, this could affect the very existence of certain regions. Weirdly, the most damaging scenario doesn’t involve staying within the ERC tournament or the switching to the Rugby Champions Cup – the doomsday scenario is that there is no cohesive European tournament for a season or more. The regions each receive approximately £1.2 – 1.4 million pounds each from their participation in European competition. That may not seem like a lot of money, it wouldn’t buy you one of Gareth Bale’s eyelashes, but within Welsh regional rugby that is make or break moolah. Dan Biggar has become only the second player in the history of the ‘Celtic League’ to reach 1,000 points. This would be a career defining achievement for a player in his thirties – such as Dan Parks, the only other player to reach 1,000 points at the age of 31. Biggar has achieved it at 23. Yes 23! But whilst Biggar’s achievement has received praise, it feels more like the sort of polite applause that you would hear at the opening of an art gallery rather than the reaction that you would witness in a NASA ‘control-centre’ in an 80s Bruckheimer blockbuster. Be it on or off the field Biggar seems to have to perform 20% better than his peers in order to receive a similar level of praise. It may be that many won’t appreciate Biggar until he is no longer playing in Wales. Long term, there are plenty in the Aviva and Top 14 that would appreciate his match-winning contribution. The opening month of the Pro 12 has already separated the Welsh regions into the ‘haves’ and the ‘have nots’ – those who have a tight five and those who do not. The Cardiff Blues have already had major issues defending rolling mauls, and their scrum, admittedly without the returning Gethin Jenkins, is fragile – the loss at home to Zebre set-off a wave of ‘face-palms’ around the Arms Park. The Newport Gwent Dragons, despite having a positive start to the campaign, also have issues at the set piece – the Dragons could do with a few more Andrew Coombs. Despite benefiting from the new scrum engagement protocols, where Samson Lee and Phil John have proved to be very effective post-engagement scrummagers, the Scarlets have already struggled against one of the bigger packs in the league – their defeat to Leinster in the opening game was a worry. 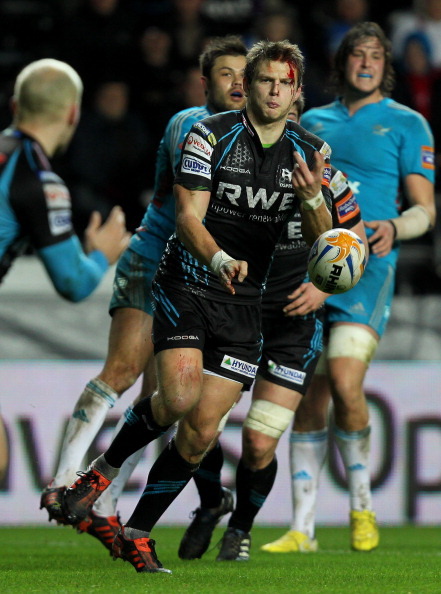 The Ospreys are the exception – their success is built around a tight five that can still compete with the best in Europe. Richard Hibbard, Adam Jones, Alun-Wyn Jones and Ian Evans have been impressive – Hibbard in particular. But it’s not just the Ospreys ‘starting’ tight-five that sets them apart from the other regions; they also have a competitive bench to utilise – calling on Ryan Bevington or Duncan Jones after 55 minutes is invaluable. The Ospreys scrum remains the benchmark for the Welsh regions. 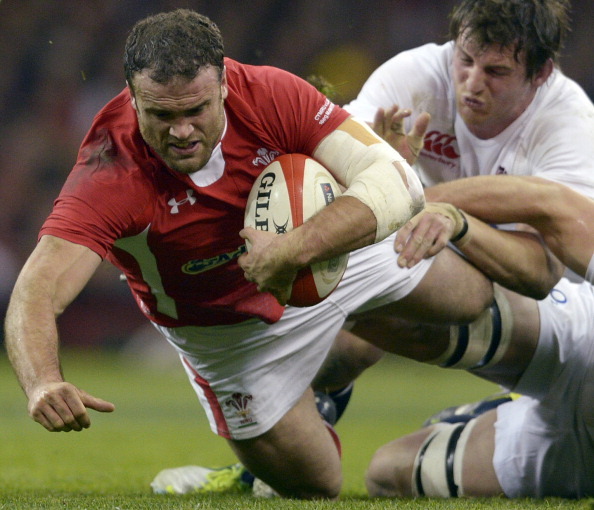 The fracturing of relations in Europe has unsettled Welsh rugby’s September – the tweaking of Jamie Roberts’ ankle could have a similar impact in November. Roberts has had surgery and his availability for Wales remains in doubt. There are of course talented options that can fill the gap. Scott Williams’ straight-running has impressed in the opening weeks of the season. Ashley Beck is fit once again and his ability to pass 20 yards off both hands would be a valuable asset to Wales. Warren Gatland also has the option of sliding Jon Davies into 12 or calling on James Hook – who is, let’s not forget, playing wonderfully for Perpignan. However, no one can fulfil the role that Roberts plays in Gatland’s game plan. Roberts is the fulcrum of the defensive and offensive execution. Whether or not you like a ‘crash’ centre repeatedly targeting the gainline – it has been very effective for Wales. Fingers crossed for Dr Roberts. The median wage in Wales in 2012, was £19,126 – the lowest in the UK. So when an employer reputedly offers you up to 40,000 Euros a month to play in France; you have to take it. You’d be certifiable not to. What’s more you shouldn’t have to explain to the media or supporters why you are doing so. It’s very easy to become misty eyed about a game built on amateur values and whilst there is obviously still an element of loyalty, passion and identity in the game at elite club level – the modern professional also needs to earn money – it’s their job. The modern pro has 10 -12 years of maximum earning potential – that’s if they manage to avoid serious injury. There are many who can be blamed for the current ‘player drain’ – the players aren’t one of them.